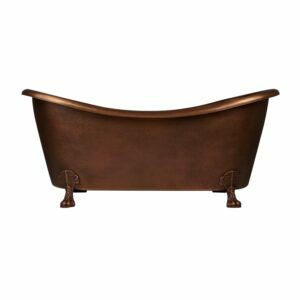 60″ Dimensions: 60″ L x 30″ W x 24″ – 31″ H (± 1″). 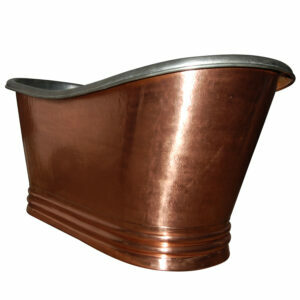 Water capacity without overflow: 74 gallons. 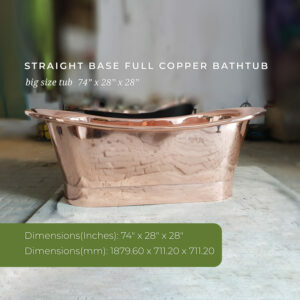 66″ Dimensions: 66″ L x 30″ W x 24″ – 31″ H (± 1″). 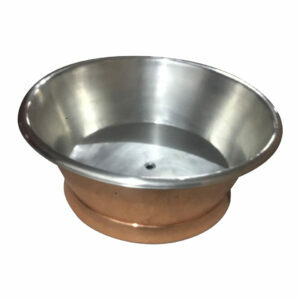 Water capacity without overflow: 88 gallons. 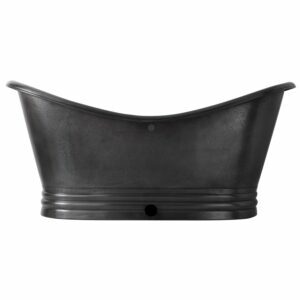 Tub must be installed with slipper end on right (as shown) for the drain passage hole to be positioned at back of tub. 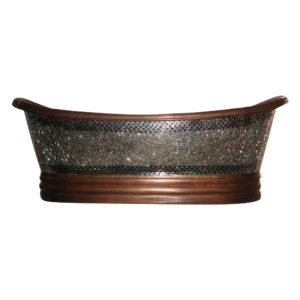 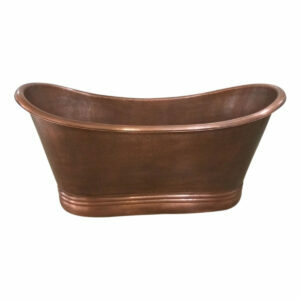 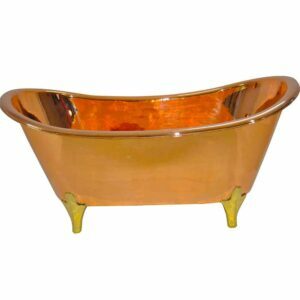 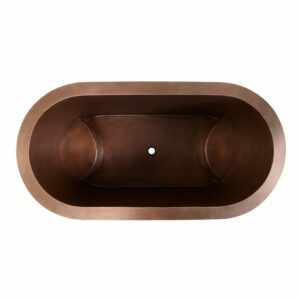 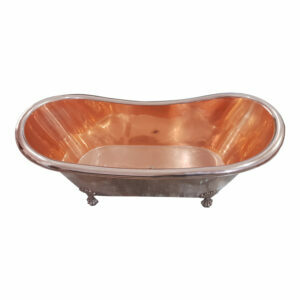 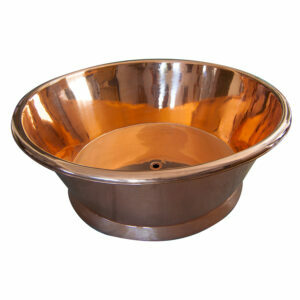 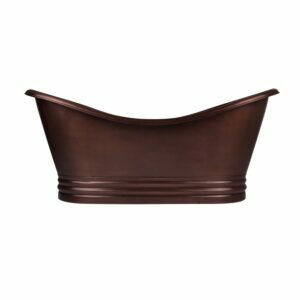 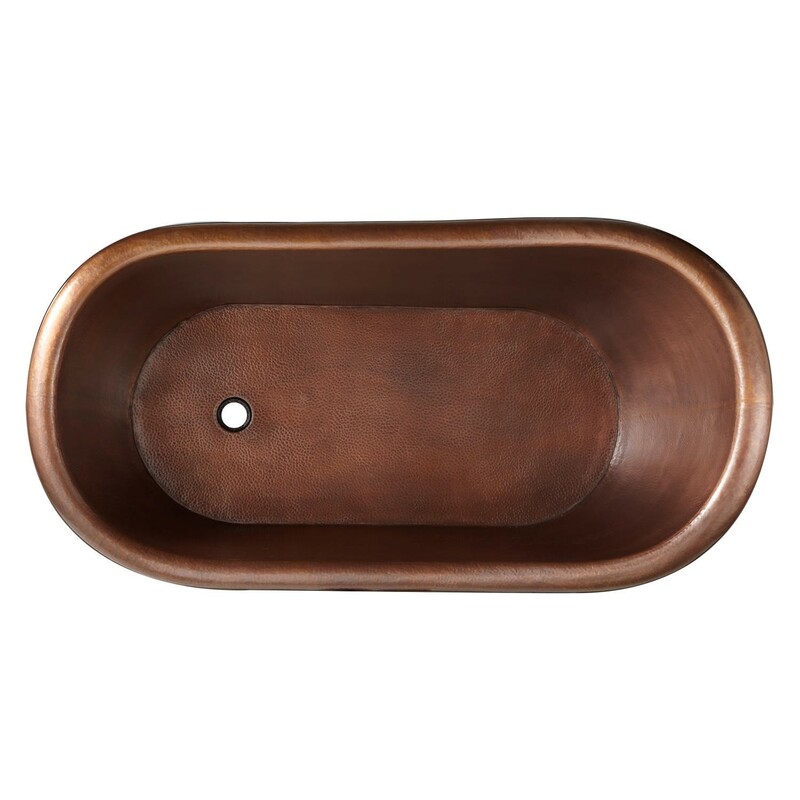 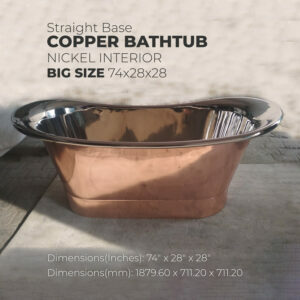 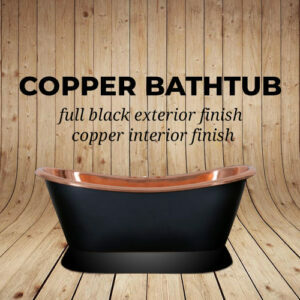 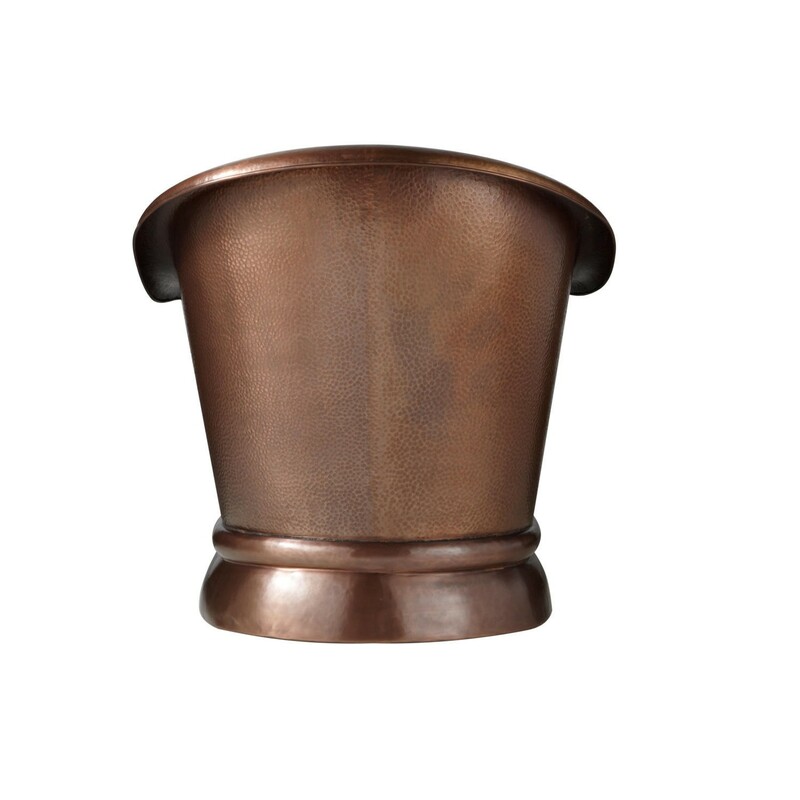 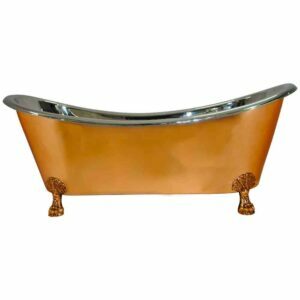 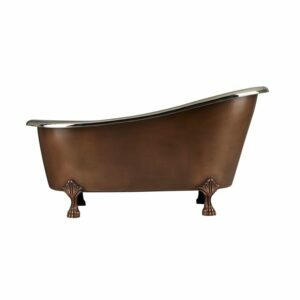 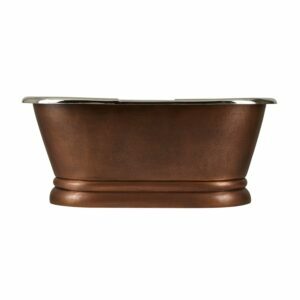 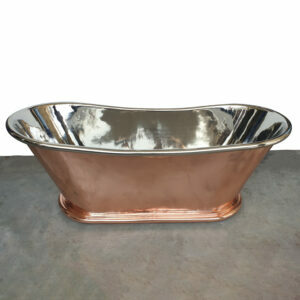 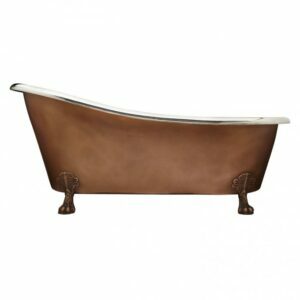 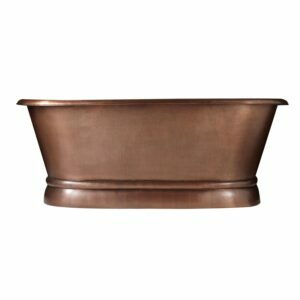 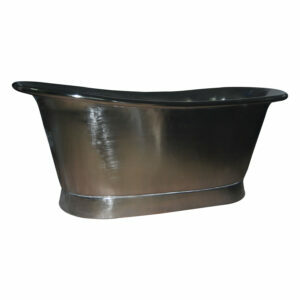 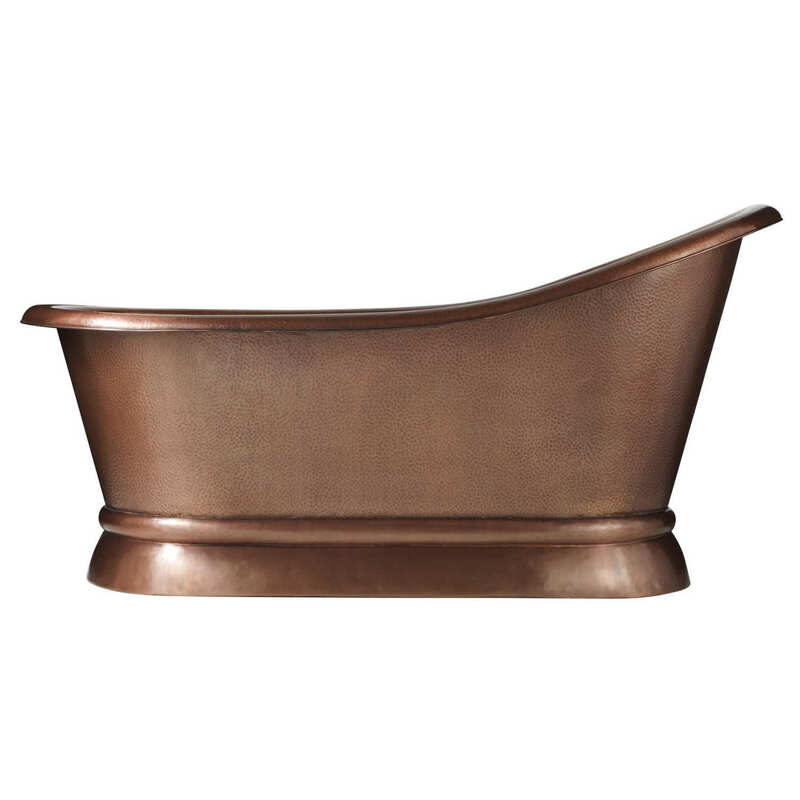 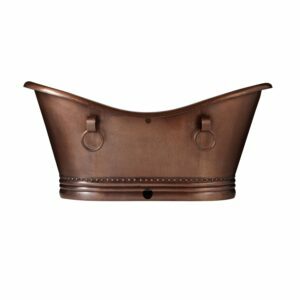 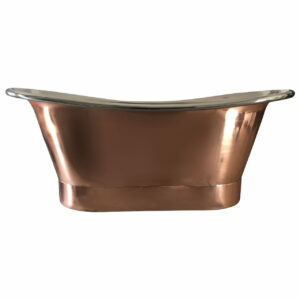 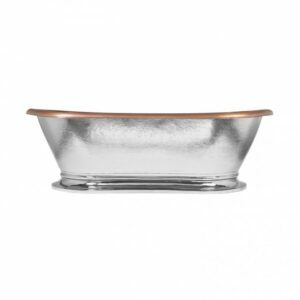 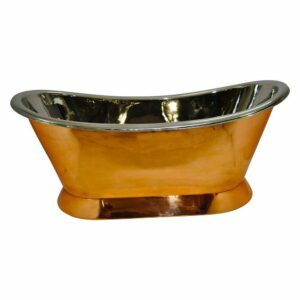 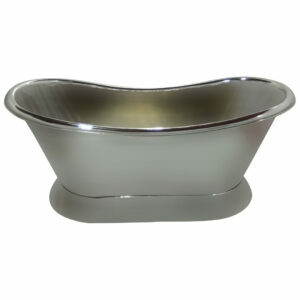 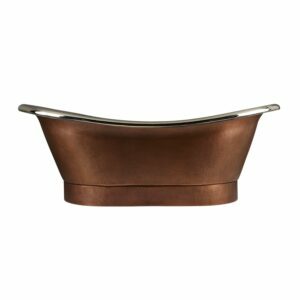 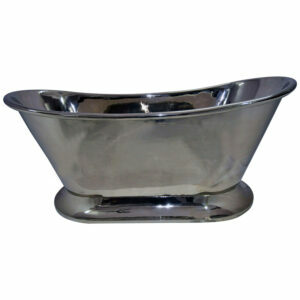 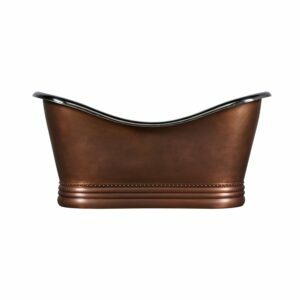 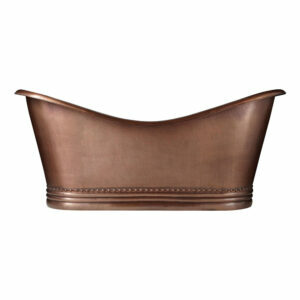 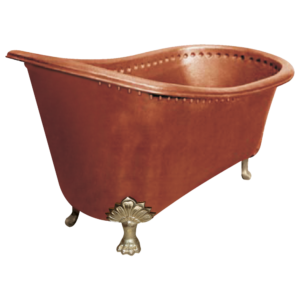 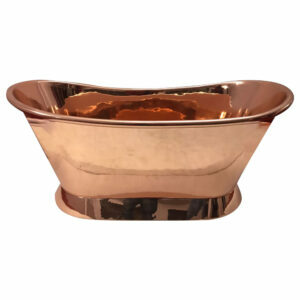 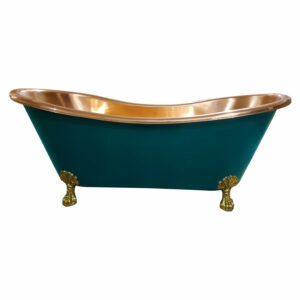 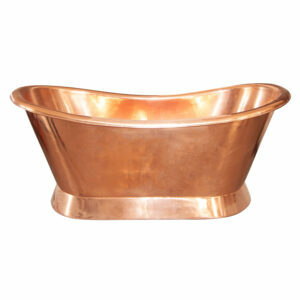 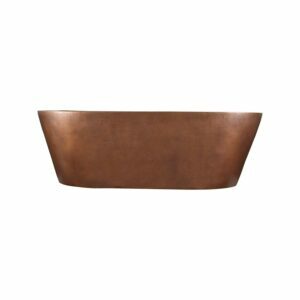 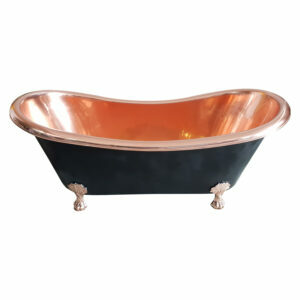 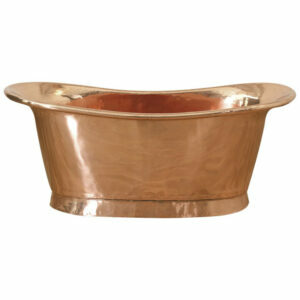 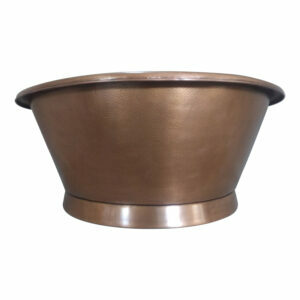 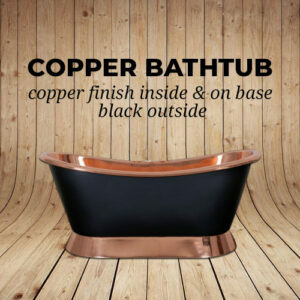 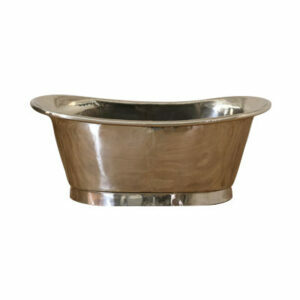 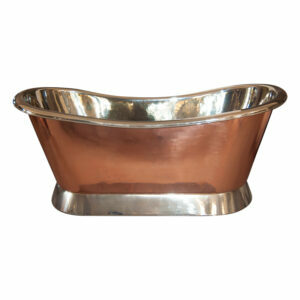 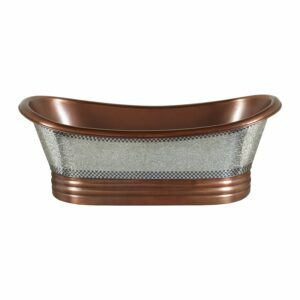 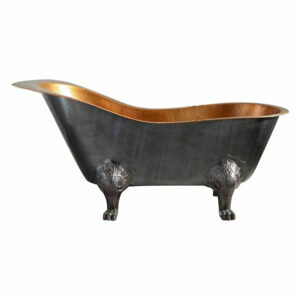 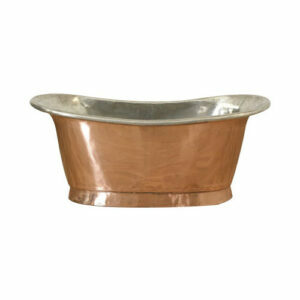 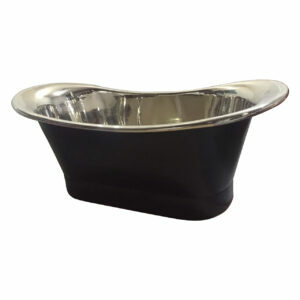 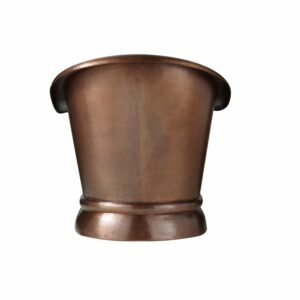 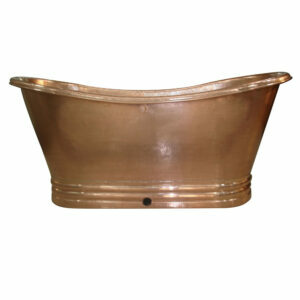 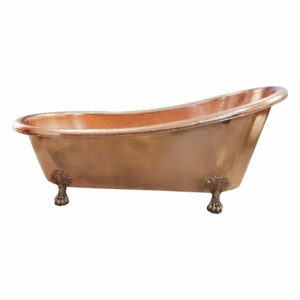 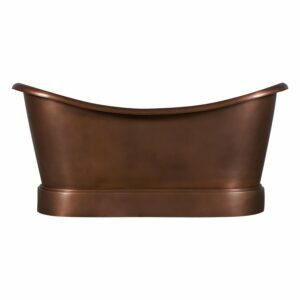 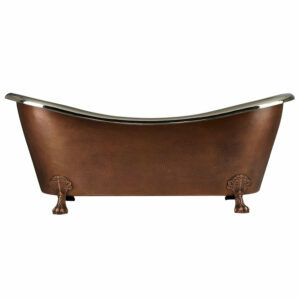 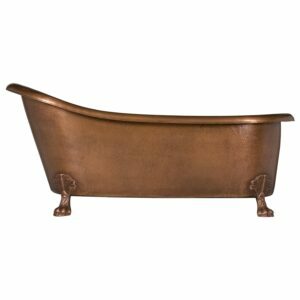 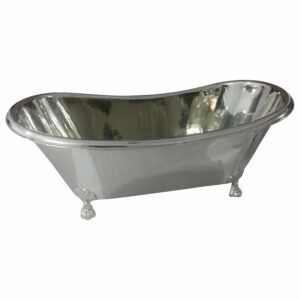 Achieve the look of luxury in your bathroom with this Copper Slipper Tub. 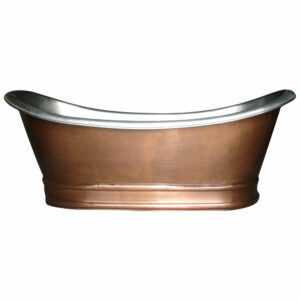 The warm, Antique Copper finish and beautifully hammered texture make this tub the perfect finishing touch.